The St Cuthbert Exhibition runs from Sunday July 15th until September 14th in St Mary's Church, Wooler. As part of this exhibition, Durham Cathedral are loaning the Story Telling Felt Cloak for display. To accompany this I will be giving a talk on Wednesday 18th July at 7.30pm. Also a workshop on Saturday July 21st. 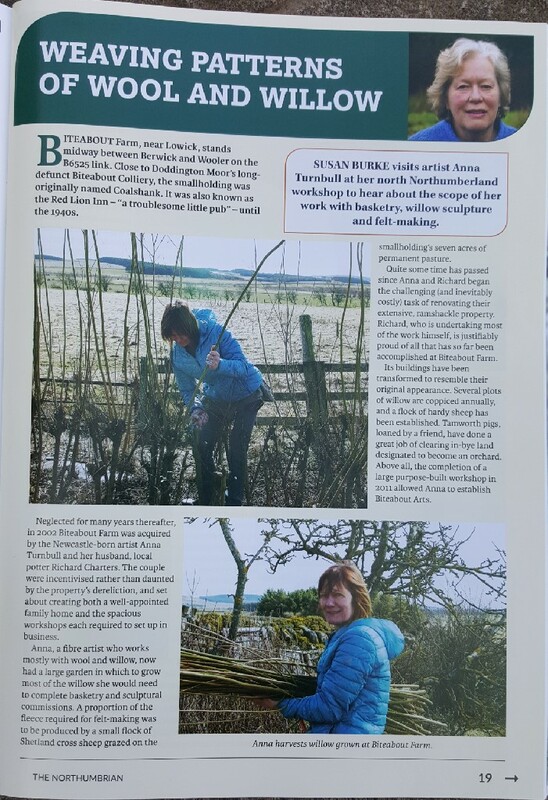 The willow sculptures I created with volunteers for the Peregrini Lindisfarne Landscape Partnership are now all in situ at various locations on the 5 km Lindisfarne National Nature Reserve Nature Trail. Starting at the Window on the Wild with a willow Lapwing you can follow the trail behind the castle towards the coast, then up to the bird hide at the Lough, through the dunes and back down the Straight Lonnen. 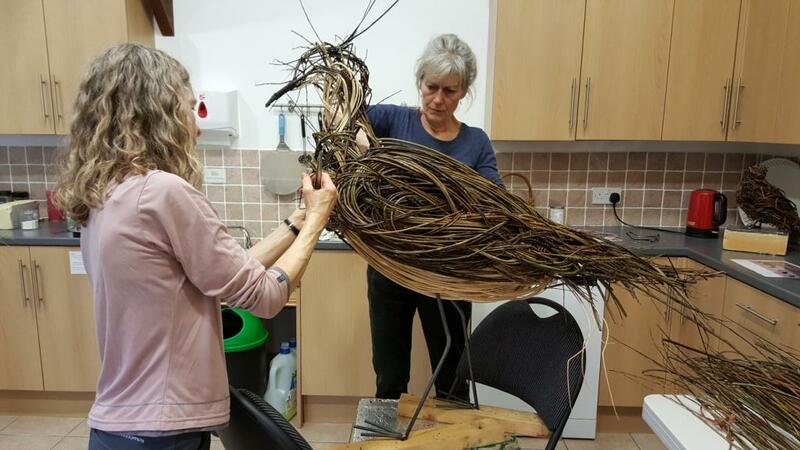 The willow sculptures include a group of Brent Geese, an Arctic Tern, a creche of Eider Ducks and Ducklings, a group of Swallows, a Short Eared Owl, a Fritillary Butterfly, and a Helleborine Orchid. 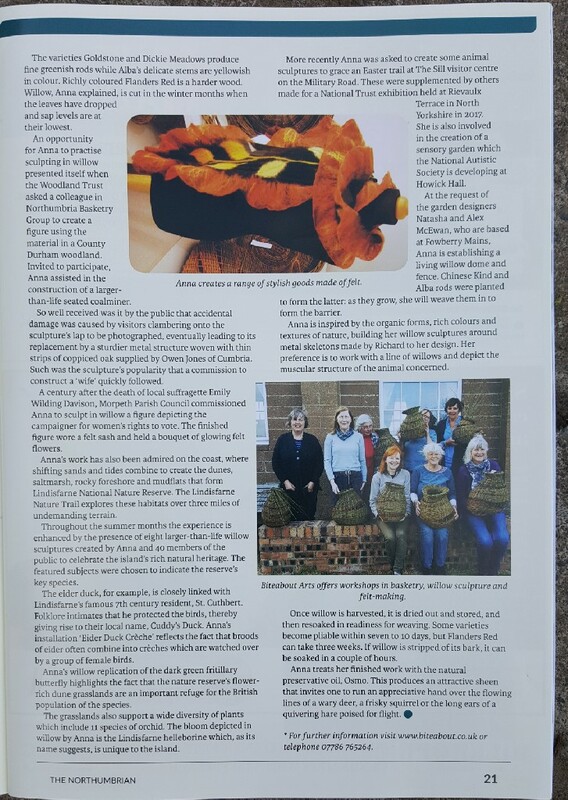 Many thanks to all the enthusiastic and talented volunteers who helped to create them and many thanks also to Andrew Craggs (Senior Manager, Lindisfarne National Nature Reserve) and his team for siting them. It is 20 months since the completion of my cloak for St Cuthbert. 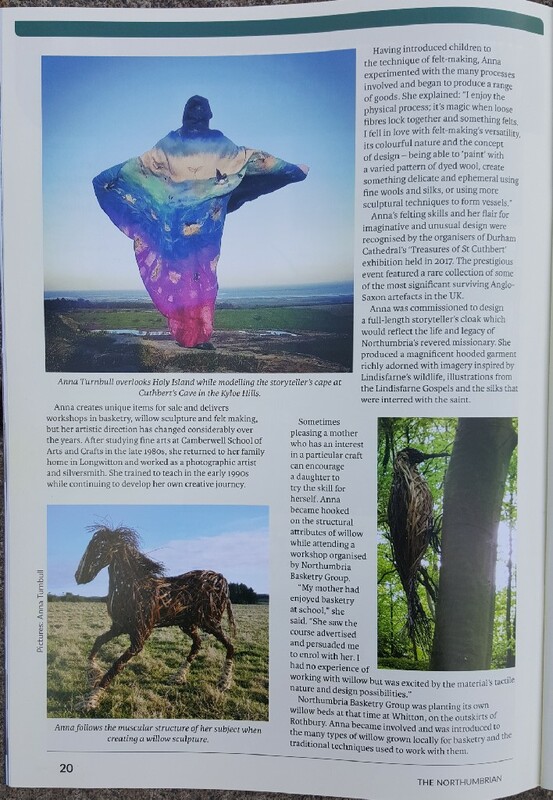 I was invited to the preview of The Treasures of St Cuhtbert Exhibition at Durham Cathedral on Friday and was so excited to see my work on display at last. It is one of four artworks commissioned for the exhibition and they can all be seen up until the end of September, (but possibly longer, that is still to be agreed). The exhibition of the treasures is stunning, and has been worth the wait! 'Discover art in the outdoors. Beautiful rhythmic willow sculptures created by Anna Turnbull hidden throughout the woodland. Living in Northumberland, Anna draws on the costal scenery and wildlife around her home for inspiration. 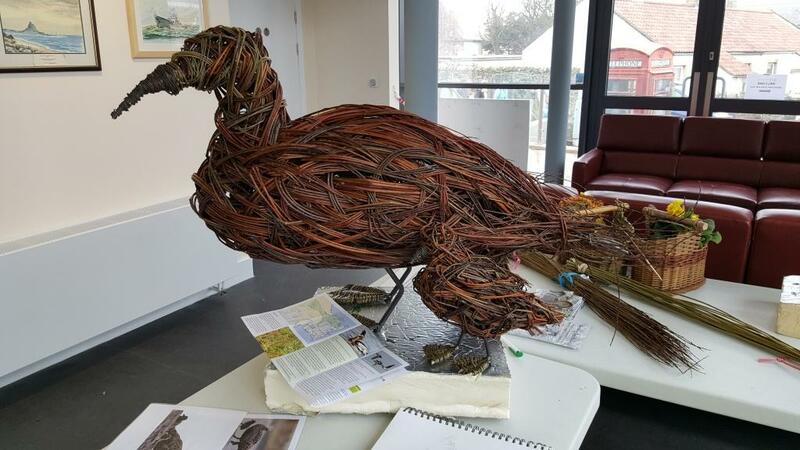 In 2008, she started to work with the many varieties of coloured willows grown locally for basketry and the traditional techniques, and started to experiment with the idea of creating willow sculptures. Captivated by the pure organic form, colours and textures of the willows, her passion for creating the unexpected was ignited. 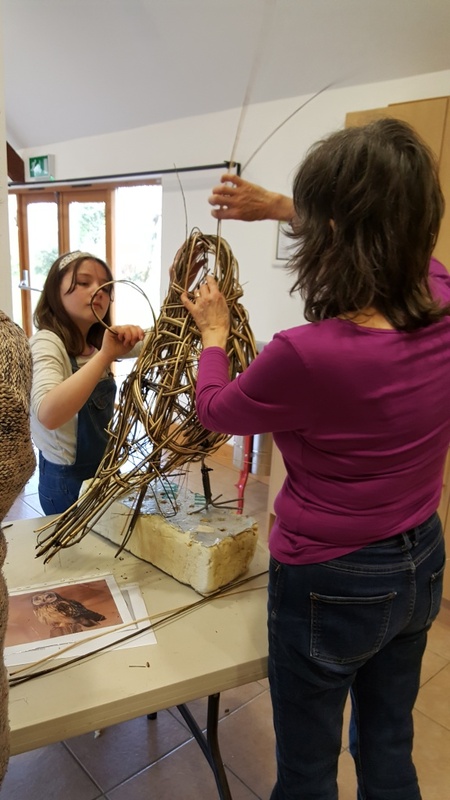 Some talented volunteers have made a fantastic job of helping to create the sculptures so far. Some have been keen to return and do more and enjoyed the opportunity to be involved. They are all proud to think that their work will be on the island and look forward to seeing it when the trail is complete. To date we have a Lapwing and a Short Eared Owl completed. Two female Eiders and eight ducklings are just about finished to complete the creche. Yesterday we started the Helliborine Orchid and the Fritillary Butterfly. 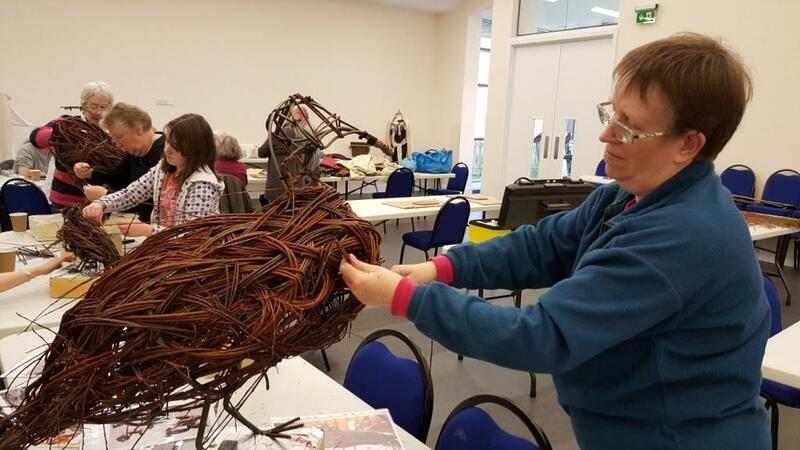 There are still some Brent Geese, Swallows and an Artic Tern to be made in the following sessions. My husband Richard has made the metal frameworks, and I have also involved the local blacksmith, Stephen Mather of Holburn Smithy, in the construction and welding of some of the larger frameworks. 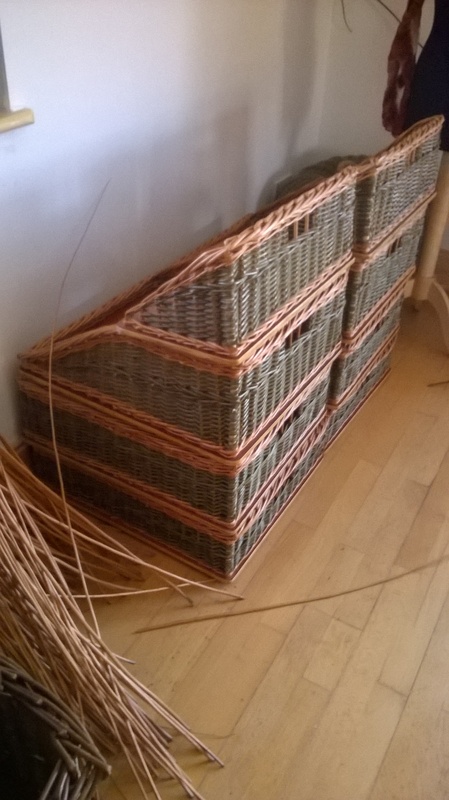 I have thoroughly enjoyed the last few basketry workshops at The Cheviot Centre in Wooler. 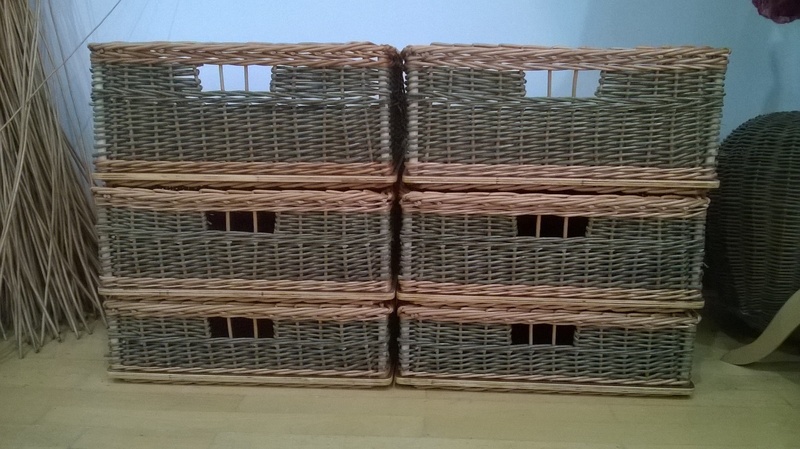 Here are the group from this last weekend - what a fantastic range of baskets! 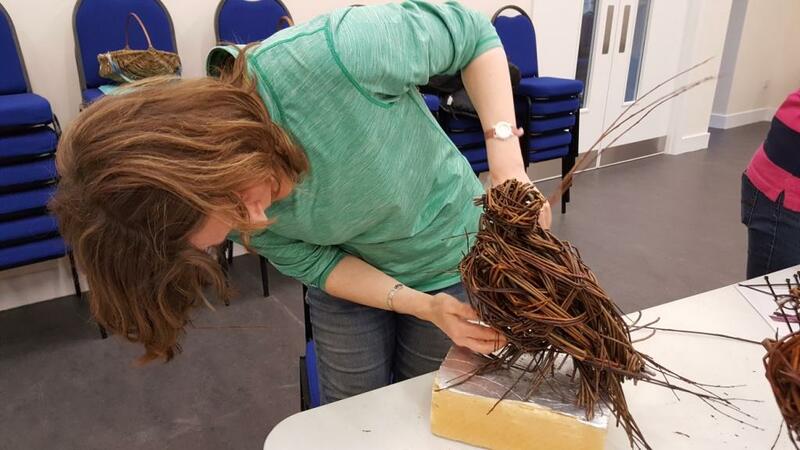 I am delighted to have been asked back to teach at the Summer School where there is a packed week of inspiring workshops. Take a look, you might like to join us! My latest commission - Specially designed to fit the very precise measurements of this under eaves shelved space. Quite a challenge! 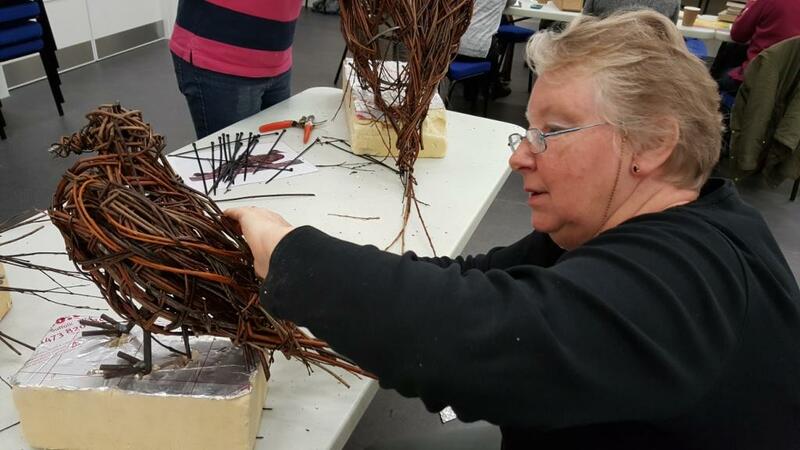 I have enjoyed making these Autumn inspired willow vessels. Playing with creating organic shapes, and adding felt into the weave has been very satisfying. A had a great day with these lovely ladies in Dunbar yesterday. They each designed and made a fantastic scarf. Perhaps you know of a group that would like me to deliver a workshop. Willow weaving or felt- just get in touch.